A company specialising in consulting and analysis in the IT sector asked PMR to conduct a quantitative study among Polish companies on the subject of the latest IT technologies. The study’s goal was to evaluate the level of use of innovative tools and the level of needs in this field. The study was conducted among companies from various sectors and public sector entities. 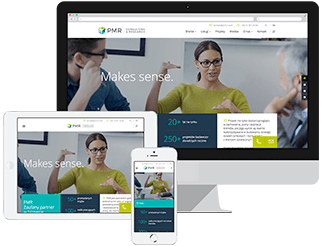 At PMR Consulting and Research, we have our very own CATI studio, with a team of professional interviewers who have extensive experience in B2B projects, especially ones from the IT sector. This is particularly important in areas of research which require technical knowledge and the ability to carry out questionnaires which include a series of open questions regarding specialist issues. As part of the project, a team of PMR’s experienced interviewers conducted over 150 CATI interviews with representatives of various departments of Polish companies and public sector entities. The interviews were conducted not just with representatives of IT departments, but also with decision makers in other departments (HR, financial, marketing, sales, etc.). Therefore, an additional challenge for our interviewers was to identify the decision maker in a given company or institution. The interviewing process proceeded smoothly, and we were able to present our detailed findings in a short time.